The closest train station is the Eizan train in Kibuneguchi Station. Please make use of our free pick up and drop off service to and from Kibuneguchi Station. For more information about free pick up, please see here. You can walk here after getting off the Kyoto Bus (fares apply) at the Kibune Bus Stop. (Japanese characters: 京都府京都市左京区鞍馬貴船町50)” on your navigation device. In addition to traffic congestion during the tourist season, it is also challenging to find a parking spot. on the Eizan Line and use public transportation from there. Reservations are required to use our parking lot. Select the number of vehicles from “Car Park Reservations” when booking online. If there are no items selectable, then the car park is full. 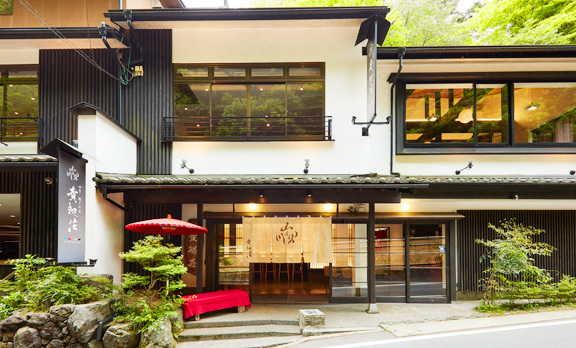 From early July to late August, Saturday and Sunday during the daytime, parking is available at the Kibune Tourist Association. It is only a few minutes by foot from Kibunesou. Please be aware that the car park fills up quite early in the morning. During weekends of the tourist season in August, especially mid-August, the area is particularly congested. It can sometimes require an hour or more to travel what usually takes 5 minutes.Please be careful when coming by car as the roads are narrow and tourist buses are on the roads. 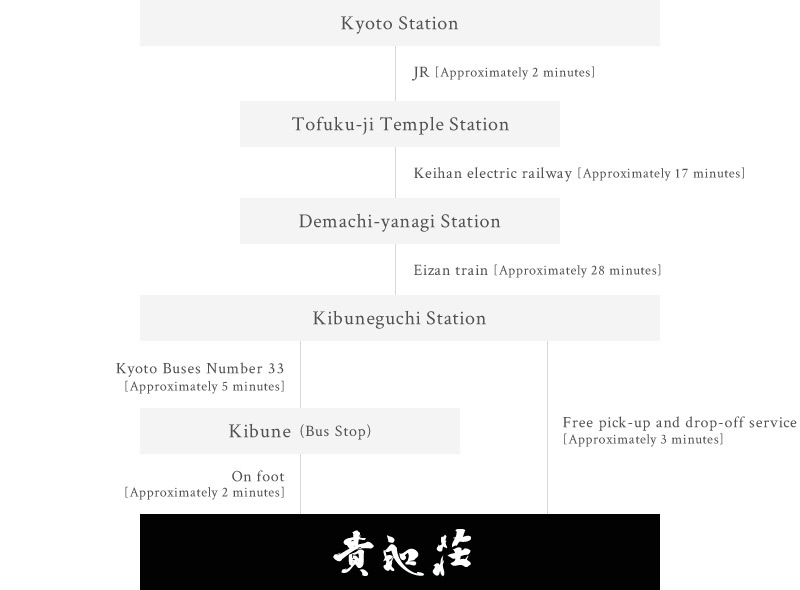 We provide a pick-up and drop-off service from Kibuneguchi Station on the Eizan Line. Please advise us by phone of your arrival about 20 to 30 minutes prior to arrival at the station. 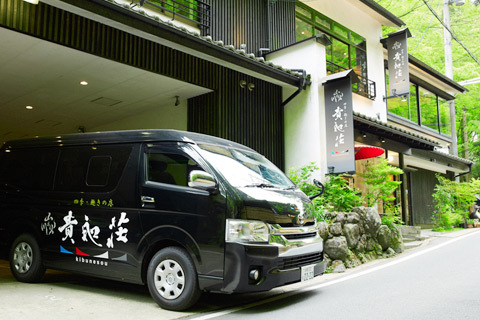 We provide a pick-up and drop-off service for the 30-minute one-way trip to Kyoto. If you require this service, please contact us by phone. During weekends of the tourist season in August and especially the middle of August the roads will be congested. During the season our free pick-up and drop-off service are always circling, but please be aware that due to traffic congestion that times may vary. Please contact us by phone if you require a pick-up and wait at the bus stop at Kibuneguchi Station.